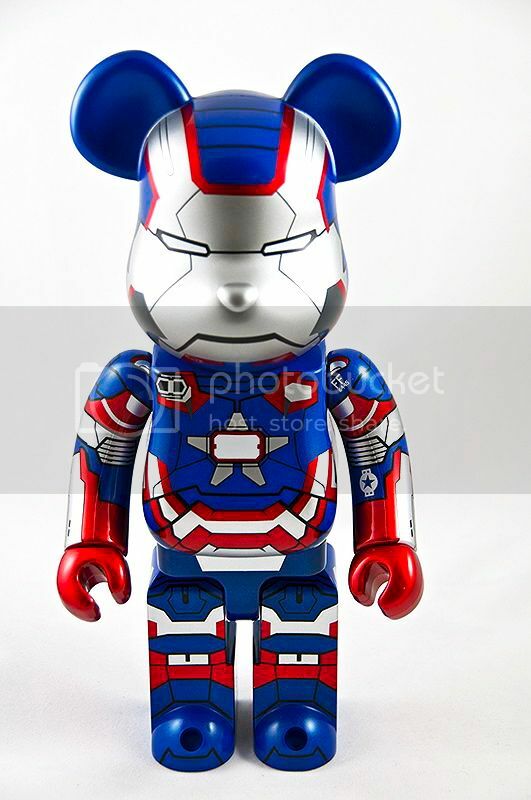 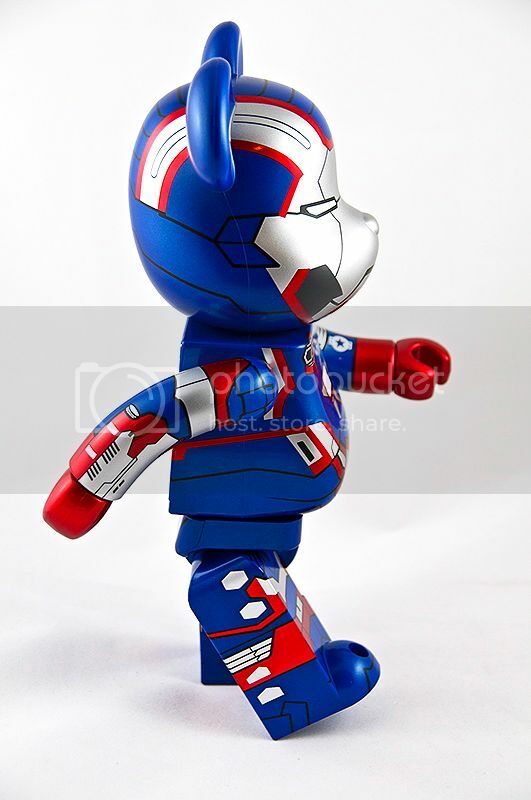 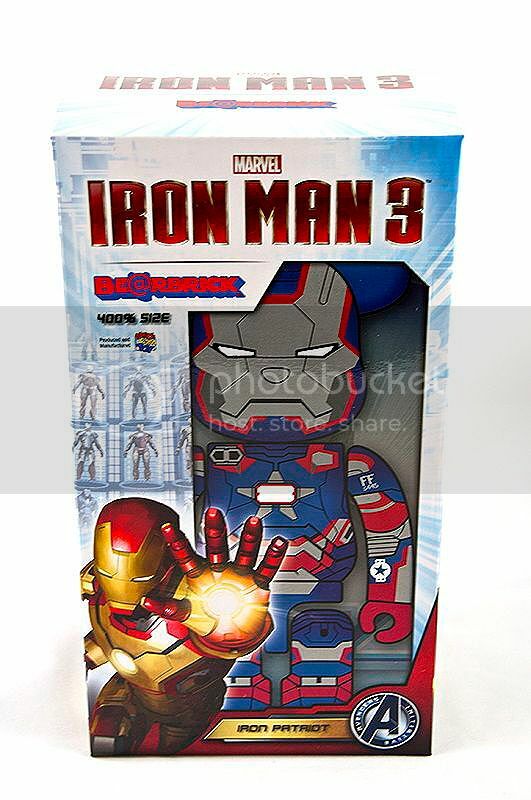 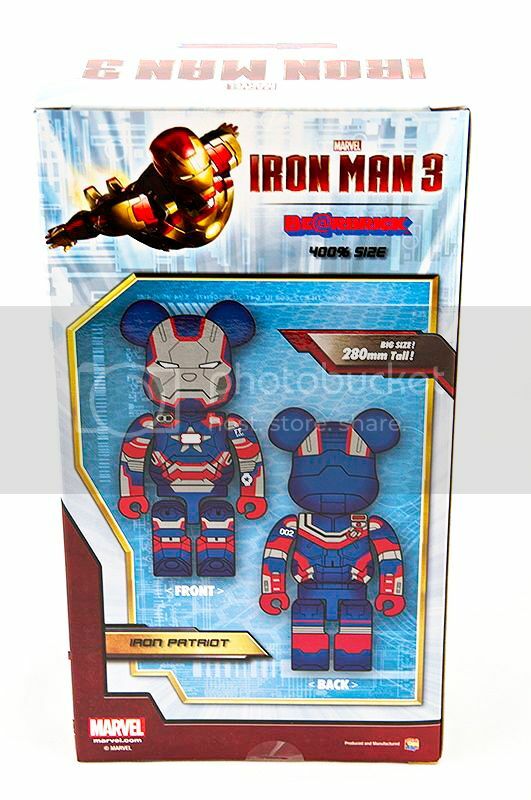 Iron Patriot from Iron Man 3 film gets the Medicom Be@rbrick treatment to help promote the film in Japan, but ended up being released months after Iron Man 3 BD/DVD is released lol. 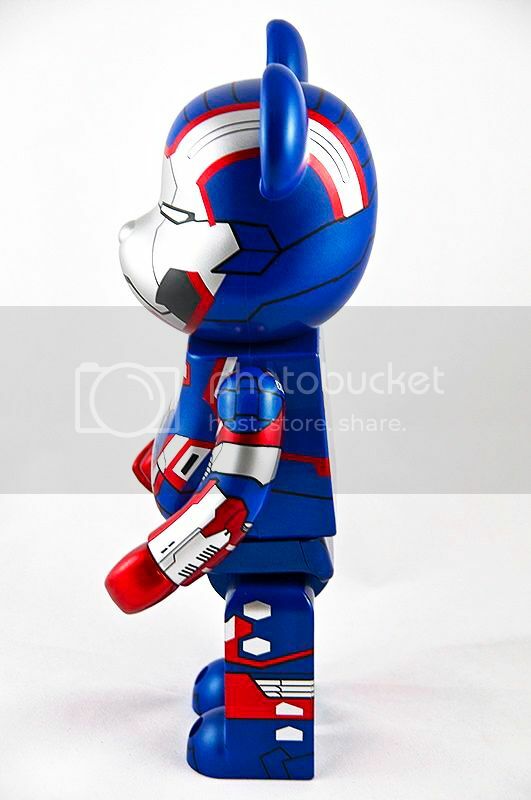 The 400% version is cute and cool at the same time. 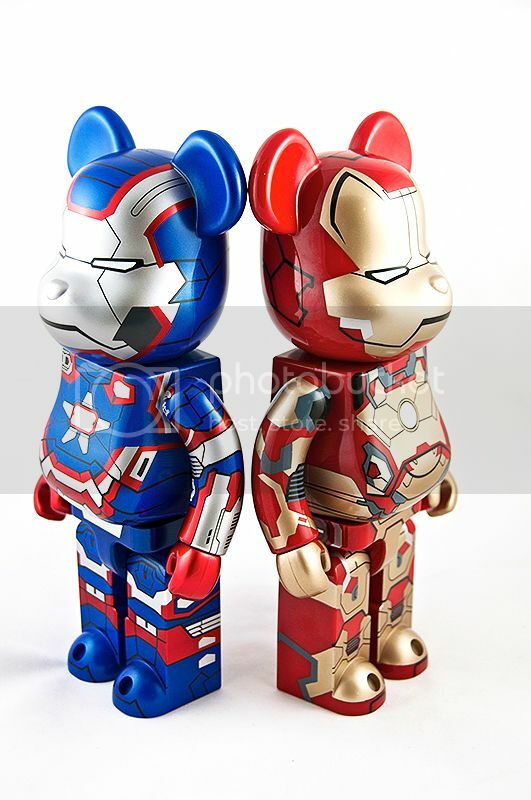 Same mold as any other 400% be@rbrick and paint quality is very nice. 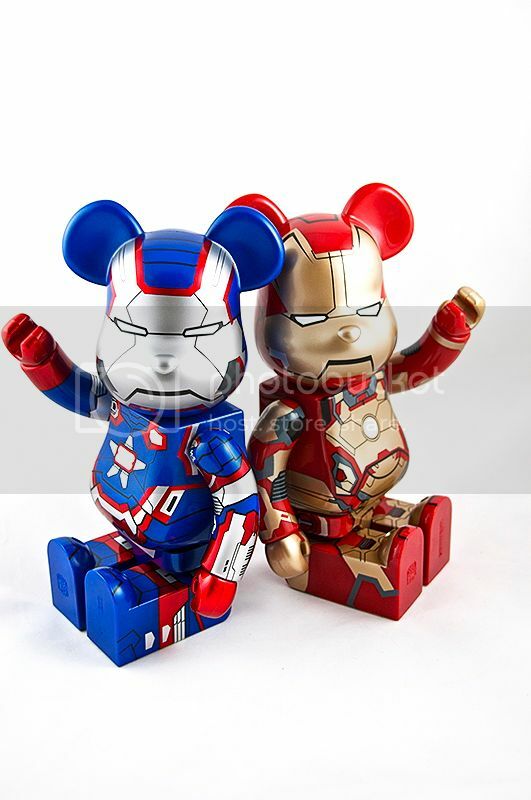 Sparkly but gives nice metallic look (even though it’s all plastic). 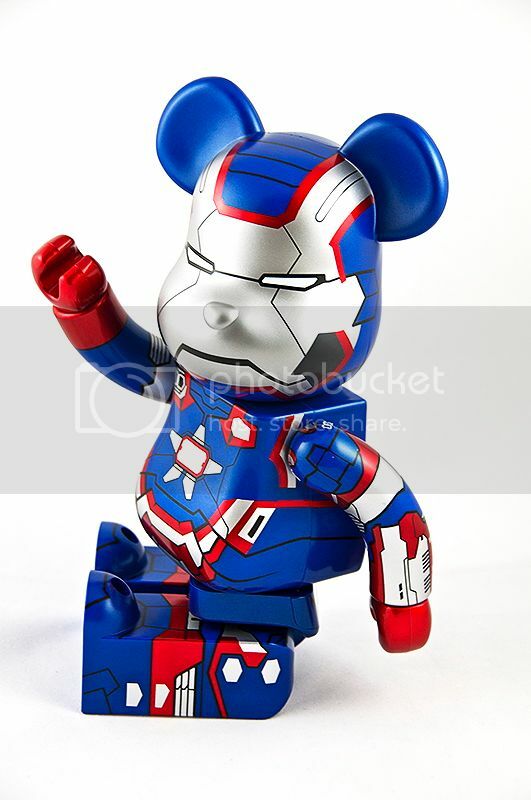 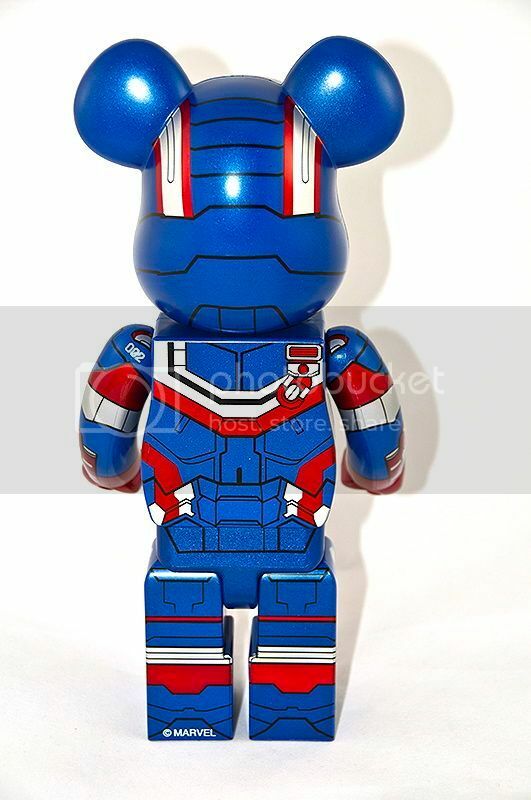 Pricey but worth getting it if your be@rbrick collector or marvel Iron Man fan!